1. When did your car accident happen? 2. Do you recall the time of day when the car accident took place? 3. Who was in the car with you at the time of the car accident? 4. Do you recall if the police attended at the car accident scene? 5. 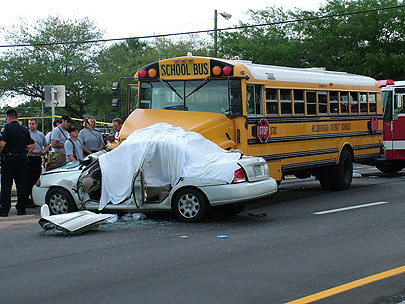 Do you recall if an ambulance came to the site of the car accident? For some people, these questions are difficult to answer, if not impossible due to a brain injury, or the catastrophic nature of their injuries. Some people are unable to communicate given their injuries, or have post traumatic amnesia following their car accident. We see it all the time. But, there are other less serious car accidents which might involve soft tissue injuries and injuries unrelated to head trauma. In such car accidents, it’s important to tell your personal injury lawyer everything you know, along with every little detail about the mechanics of the car accident. This means remembering, or using a calendar to find out the exact date of your car accident. Simply telling your Toronto personal injury lawyer that your car accident took place in around July 2011 isn’t really helping out very much. Later, the lawyer might find out that the car accident actually took place in May 2011, and your limitation period to sue (2 years from the date of loss) might have expired. Yikes. That would be really bad news for you, and really bad news for your lawyer as well. While there are plenty of ways for a personal injury lawyer to find out exactly when your car accident happened, knowing the date and the exact location where the car accident happened shows the lawyer that you’re prepared and serious about your lawsuit. We had a prospective motor vehicle accident client attend at our office not too long ago insisting that his car accident took place on November 1, 2010. He sustained an ankle fracture in the car accident, along with injuries to his lower back, knees and shoulders. He was experiencing headaches the likes of which he had never seen before. He was able to return to his job, but after around 2 years of toughing it out, he couldn’t manage anymore. He had not reported the car accident to his insurance company (a big mistake), out of the fear that his premiums would increase. Sidenote #1: If you live in Toronto, or anywhere else in Ontario, your premiums are going to increase no matter what! My bubbie (yiddish term of endearment for grandmother) is a Toronto resident, and has been driving for 25+ years without ever getting into a car accident (because she NEVER drives), and her premiums routinely increase. Car insurance premiums in London, Peterborough and other smaller cities across Ontario have all increased along the same lines. It doesn’t matter. Sidenote #2: If the car accident isn’t your fault and you’re seriously injured, your premiums may increase, but they should NOT! If your premiums do in fact increase (which they shouldn’t if the car accident isn’t your fault), say around $200-$500/year (or even $1,000); that increase pales in comparison to the $50,000 in medical and rehabilitative benefits which you’re entitled to, not to mention the damages for pain and suffering, loss of income, loss of competitive advantage in the workplace, out-of-pocket expenses etc; all of which can total over a million dollars. If you’re seriously hurt, you can get seriously compensated. A $200-$500 annual increase in premiums isn’t going to hurt you, but not getting the treatment or the compensation you deserve is. 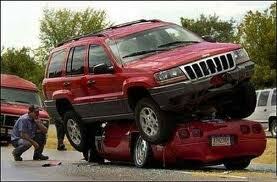 Don’t like that your insurer jacked up your car insurance rates after the car accident which wasn’t your fault? Vote with your dollar. Switch insurers! Sidenote #3: Did I mention that your car insurance premiums are going to increase regardless of whether you report your claim or not? Don’t be so naive to think that your rates are going to stay static. They’ll find a way to gauge you. Mark my word. But I digress. Back to that prospective client. Thinking his car accident happened on November 1, 2010, everyone at our law firm believed that he had until November 1, 2012 to sue the at fault driver for pain and suffering. Upon further investigation, it turned out that his car accident actually took place on September 1, 2010. Accordingly, he was out of time to sue. LawPro Note: Goldfinger Injury Lawyers was never retained in this matter. The meeting at our Toronto office took place after his 2 year limitation period had expired. Phew! The gentleman left our law firm upset because he had lost out on the opportunity to sue. Had he been more diligent in pursuing his claim, and had he known the correct date of his car accident, this never would have happened. That’s why it’s important to save those basic details about your car accident, or else you’ll end up getting hurt twice. Don’t let this same mistake happen to you. Everything might seem fine in the short term, but in the long term if you’re not protecting your rights and being proactive about your car accident case, then you’re setting your claim up for disaster which can’t be repaired even by the most skilled of lawyers. One final tip: Everyone in Toronto has smartphones equiped with cameras. It’s amazing though the amount of people who don’t know how to use the cameras! They’re the perfect tools to record critical evidence from an accident scene. If you slip and fall on ice, take a picture of the ice. If there’s damage to the front of your car following a collision, take a picture of the damage before it gets repaired. Have a black eye or serious bruise because of your accident. Take a picture before your injuries heal. The camera on your smartphone isn’t just for show and for taking fancy pictures of you at the club with your friends. Learn to use it properly and to your advantage. It can be the difference between a meritorious case and one which fails.